Everyone’s been talking about tech disruption for twenty-some years now since The Innovator’s Dilemma came out. However, there’s another order of disruption happening and that is the customer experience disruption. We’re moving to this place where people don’t just want to have experiences of feel good, they want to be transformed. They want to become different better people. They want to change their self-identity. That disruption, regardless of technology, service, product, is a lasting change. We used to look at the whole idea of disruptive technology as essentially about creating new features and lowering prices. Tony Bodoh, co-author of ProphetAbility, says we’re no longer competing on those issues anymore. We’re now competing on the experience a person is having and how you move them from point A to point B to point C so that they become this different person. 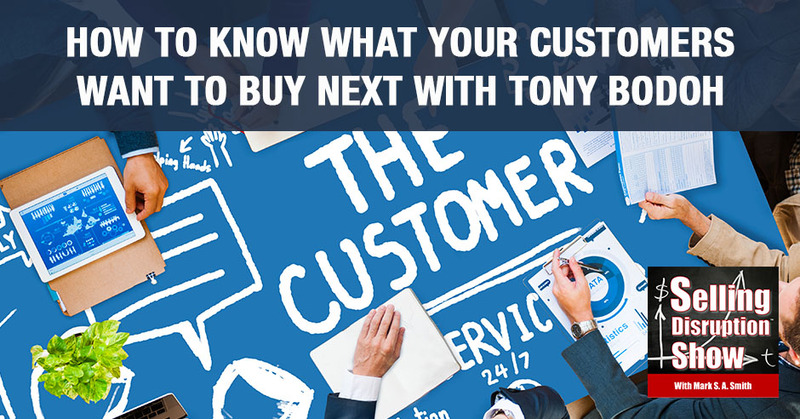 Tony says the key thing to knowing what your customers want to buy next or where they’re going to be in the future is understanding who they want to become. That will lead you down a path of creating differentiation compared to your competitor, and ultimately giving them not just the experience but especially the transformation they’re looking for. My guest is Tony Bodoh. He’s one of my favorite people to call up and just swap ideas for hours with me. We had him on the show last time talking about How to Engineer Five-Star Customer Reviews. Right after you get done with this one, go back and listen to it. It will blow your mind. Tony just finished writing a book with Betsy Westhafer who was also a guest on our show here on ProphetAbility, looking into the future. Tony works with executives to help them navigate their organization to where the customer money will be in the future. I love that concept. That’s a riff on Wayne Gretzky’s, “I Skate to Where the Puck Is.” I love that. Tony, welcome to the show. It’s great to be here, Mark. It’s so fun to be with you because every time we get together, we come up with some amazing ideas. We certainly spur each other into seeing things that we haven’t been seeing before. We talked about the book with Betsy, but you have a different take on the book as a co-author. It’s one of the reasons why I chose to invite you back to the show. The book’s been out for a while. What has resonated with the population and with the executives that are reading the book? One of the biggest things that we see people talking about and they’re engaging us with is the fact that we are in this new disruption. Everyone’s been talking about tech disruption for twenty-some years now since The Innovator’s Dilemma came out. 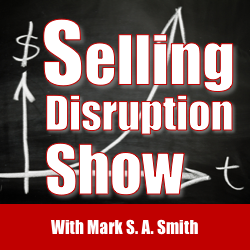 There’s another order of disruption happening and that is the customer experience disruption. What I mean by that is we’re moving into a new economy away from even the technology. The products are there but we’re moving to this place where people don’t just want to have experiences of feel good, they want to be transformed. They want to become different, better people. They want to change their self-identity. That disruption, regardless of technology, service, product, that is a lasting change, a lasting disruption. It absolutely wipes out your competition, in that case. If you have done the transformation and your customers want that transformative experience to begin at the next level, they can’t go to any other vendor. It absolutely wipes out the competition and you no longer have things such as price even coming into play. That’s a big thing that we recognize. We were looking at the whole idea of disruptive technology. It was all about essentially creating new features and lowering prices. We’re no longer competitive competing on those issues anymore. We’re now competing on the experience a person is having and how you move them from point A to point B to point C so that they become this different person. Let’s just use an example that I really liked, which is the Amazon Dash Button. Are you familiar with that? Do you have some of them in your house? No, I haven’t yet embraced them, but I love the idea. I can embrace everything I love. That’s the problem. I do have a couple of the Dash Buttons. The Dash Button is a little button that’s about two inches long and a little less than an inch wide. It has a sticky back on it. It has a brand on it such as Tide Pods, bottled water, coffee or whatever your favorite brand happens to be. For example, the Tide, you stick that up by the washing machine in your laundry area, and when you run out of Tide, you push the button and Amazon delivers whatever particular product you’ve assigned to that button press the next day. If for some reason your spouse goes in there and pushes the button the same time, it only sends you one so that your kids aren’t ordering cases of Kool-Aid. It works really well. The interesting thing about the Dash Button, first of all, is it’s transformative. You don’t even have to think about putting something on your laundry list. You run out, you push the button, it shows up. That’s a transformative experience. The thing that is extraordinary is that when you push that button, are you thinking about price? That’s exactly right. It’s one less thing. I need laundry detergent, button pressed, it turns green, I know it’s coming. Then you can completely forget about it and move to the next thing. Somebody lugs those heavy cases of water, the heavy Tide Pods up to your house, and it’s just absolutely brilliant. That is a great example of the combination of tech disruption and customer experience disruption that we’re talking about. Carry on please, Tony. That’s actually a phenomenal example. What I love about that is it causes us to not have to think. People may push back on that idea that we’re being manipulated. Actually, the reality is we have so much information coming at us and research shows over and over again that we can only make so many high-quality decisions in a day. Therefore, if I can eliminate any of those unnecessary decisions and I can make them happen fast and just let them go, I don’t have to be thinking about, “I need to remember to go to the store tomorrow when I go out and get the Tide Pods.” I can let that go. That means I can actually have a better quality of life, I can make better quality decisions, and I can improve who I am. That is actually a product that leads to human transformation if we embrace it. That concept of only so much cognitive capacity in a day is absolutely critical to understand as an executive. We have to protect our cognitive capacity and look for ways to improve our cognitive capacity. Of course, Steve Jobs, the legendary CEO of Apple, wore the same thing every day so he didn’t have to think about it. It freed up his cognitive capacity so he could work on other more important things. This concept of how can we relieve our customers of needing to make decisions and just supporting their lifestyle becomes part of this disruption and how we apply profitability to our own businesses. I have to make the experience of listening to this podcast more and more frictionless. It even goes beyond frictionless. It goes to this place where most companies are focused on the positive emotion, the pleasant life, surprise and delight. We all talk about that. We talk about ease of use. The reality is you need to go deeper than that. That’s just one of five ways that the Positive Psychology Movement has really discovered and lead us to a thriving life as human beings. One of those that really comes up with the way you’re talking about this is what’s called engagement. An engagement is that state of flow or being in the zone. We often associate it with athletes who are playing sports or the X Games where they do some amazing stunt that they’ve never done before in the middle of a competition. In truth, we can all get into a state of engagement or flow. What typically happens when we do that is we lose our self-awareness, we lose our sense of time. This richness of information. We have access to more information because parts of our brain are deactivating those parts that keep us judging and evaluating who we are and how we’re moving about in time and space. Those deactivate so we can focus on taking more information and actually having deeper insight. Something as simple as the Dash Button, if I’m walking through my house and I’m thinking about a complex problem and I throw the laundry because I can do that habitually without thinking and I see I’m almost out of Tide Pods and I hit the button, I don’t have to leave that state of flow. I can stay there with the wicked problem I’m trying to solve and my laundry gets done at the same time. The ultimate multitasking that actually works. Engagement is a critical issue for many companies. 81% of people are not engaged at work, which means they can’t engage with customers. The number varies but it’s an extraordinary amount of disengagement, which means that we have to retool the workplace and provide people with the capacity for engaging with their work and with our customers. This concept of engagement is critical to executives. What is the best way for an executive to handle this concept of engagement? The research has actually expanded rapidly over the last few years. Kotler and Wheal have done a great job. They published a book, Stealing Fire, back in 2017. That is an amazing book. It’s a bible for me. I love going to them. They are probably, I would say, the leading researchers I’m aware of in the whole state of engagement or flow. What we knew up until about a few years ago was that there were three characteristics that typically had to take place. Number one is you had to have a clear goal. How many people in their jobs have no idea what they’re supposed to do, much less moment to moment? There’s no clear goal. I would say the issue is more along the lines of the goal keeps shifting. Thanks to the micromanagement of the executive that has capped out of their cognitive capacity. The challenge is that the goal is variable versus a clearly-defined goal. If the goal is not well-defined and shifting, the second part of that is I need immediate feedback. I need to know whether I’m on course or off-course like I’m driving a car down the highway. If the goal is changing, how in the world do I know I’m on the right course? The third part of that is when we have goals and when we have the feedback, we have to have a challenge that is pushing us beyond our current level of master your skill set so that we can go all in. Essentially, all of our cognitive capacity or most of it is engaged with the task at hand. That’s how we become one with it. That’s how we lose track of time because we’ve got to put so much into it. That’s the traditional way in the early research. They’re now finding there are over 30 different triggers. We don’t have to access them all, but there are 30 different triggers that we can access as individuals or as a group and go into the state of engagement and flow and have a truly amazing experience while discovering something we didn’t know before. That’s a conversation I will have with you another time. You’ll just have to come back. It would be really an extraordinary thing for us to go through those 30 triggers and talk about how we can be intentional about triggering our customers, employees, the team and the flow. I want to talk more about ProphetAbility. How do we figure out where the customer’s going to be in the future? The key thing is understanding who they want to become. No matter what they do, no matter what those behaviors are, it’s not about what they want. If you think about it from a psychological perspective, we all have wants and desires, and below those wants and desires, we’re all seeking something. That’s where positive psychology has done an amazing job contributing to this conversation because of those five things that they’ve discovered, which the acronym is PERMA. It’s a positive emotion. We seek these for their own sake. We just want to feel good. We want a pleasant life. There’s engagement, which is the E, and that’s the state of flow or being at one with what we’re doing, fully engaged, as we’ve talked about. The next one is relationships, that’s the R. That’s authentic connection, really understanding, “I’m connecting with the person in front of me or the person I’m on the phone with.” Then there’s meaning, which is a purposeful life. It’s leaving a legacy, impacting the world. Then there’s accomplishment, which is achievement or mastery for the sake of mastery. Just doing it because we want to do it like me learning the piano. If I took that on, it would just be it for the sake of mastery. These five underlie everything that we’re seeking in a positive way. If we want to know where to go, we have to look at where are our customers, what types of things are they seeking, and how do we drill down and get to the why of why is it you want that and who do you want to become in the process. Each of these is a specific outcome, whether it’s a pleasant life, which a lot of people want when it comes to things such as hospitality or the flow. I just want to feel that feeling of a perfect day. That could be sports or entertainment or relationships. How do I have a more authentic connection with my spouse, my family and my team? With meaning, a lot of people are engaged in charities or religious associations and organizations to create that meaning in their life. Then with accomplishment, that’s with school or study or all those things we report about. We have these various facets, and if we can put together more than one, two or three, then we have more and more of this way of satisfying our customers in new ways. It’s a powerful concept. The customer chooses that particular mix. Traditional businesses have focused on just the P, the positive emotion, “I like this.” That’s really where the reviews have come from in the past, “I like how they took care of me.” It’s going to take way more than that to stay in business and to be able to charge what you’re worth in the future. What do you see as being the way that we can move this from just providing a commodity-type of service into this PERMA world where we’re really delivering the experiences that customers want and are willing to pay for? A big part of it comes from understanding what your customers are already telling you. There is so much gold in those reviews that when we go in and analyze the reviews and really understand what it is your customers are talking about or we analyze the emails and the phone conversations you’re having with your best customers, those who do are in the top 25% for profitability. We understand what they’re telling you that they love, what they’re telling you that’s intolerable, and then we help the company navigate through that process and understand where are people going to be spending your money in the future. Where is it that they’re looking for growth and expansion and a better life? A simple example, I’ve got clients who are convinced when they come on board with us that we have to have this positive experience. We have to create a great experience for our customers where they’re feeling good and delighted and all of that. The best example of this is taking a CrossFit gym. A good friend of mine runs a CrossFit gym. When she runs that gym, she is the nicest person you’ll ever meet, but she pushes her customers and her clients. It is not about having a good time when you’re there. It is about throwing some weights. It is about pushing yourself beyond the limits you have. Actually, I read some reviews on her Yelp site. One guy says, “It took me three weeks to sign up because I was afraid. Now, it’s three years later.” He’s been a customer for three years and he’s like, “It’s amazing what this has done for my confidence and for my willingness to get out there and do things.” That’s not what she’s selling. She has a CrossFit gym. It’s not called JoyFit, it’s CrossFit. You don’t go to a CrossFit gym to feel good. After you’re done, it’s a hellacious experience. You’ve got to get through the pain to get to the endorphins that come out of it. It’s not a positive experience in the heart of it. There are a lot of experiences that people are willing to take on because we’ve been programmed, “No pain, no gain.” There’s certainly a level of truth to that when it comes to our physical physiology. Instead, what she’s focusing in on is that meaning and the accomplishment and the flow. Once you nail it, you’re in the flow. Ultimately, the positive emotion is on the backside. You’re so glad that you decided to work out. That’s a great example. When you work with your executive clients to help them strategize on the profitability and the future with the customers, what are the steps that you go through to engage with them? I just want an idea of how the process works. I would say one of the biggest things is understanding what metrics they want to move. When we wrote the book, we did a bit of soul searching here because we’ve got our proprietary way of doing things. We’re like, “How far do we want to go in revealing that?” I realize I need to reveal more of it than I ever had before because the world needs this now. We’re moving so fast so I put it out there. You can actually see it in the book. We created what’s called the CX Research Matrix. Essentially, what we do is we sit down with the executives in the C-suite and we talk them through and say, “What is it that are your key performance indicators? Give me the one or the five or the seven that you absolutely want to move forward this year or over the next two years, and where you want to move them to?” We get that on the table. I’m one of those believers that you absolutely should not start any customer experience research or design or product development until you know what metric you’re going to move for your company because that’s what it’s all about. Once we get those metrics in place, then I’ll usually have them think about there are five areas of a company that affects the customer. You’ve got your marketing and sales, you’ve got your product, you’ve got your channel, you have your personnel and you have your operations. The Research Matrix actually comes out of you listing those five metrics or seven metrics, whatever it is, down the column on the left, and you put each of those five areas across the top. What magically happens is we start asking questions like, “What do your top 10% of profitable customers say about your marketing?” or, “What do your top 10% of most profitable customers say about your team? What do your bottom 10% say about your team?” With one company, we came up with over a hundred research questions. This was a Fortune 100 company so they had plenty of data to go after. If you’re a mid-sized company and you may not have as much data to go after, we can still come up with at least 25 questions that are worthy of your research and will all move you forward. The fundamental here is we’ve got to figure out the metric first. You have to understand what the goal is. Without the goal, you don’t know when you’re winning. Out of that then you generate the questions that help us identify how do we meet the metric and then we go ask those customers those questions. Part of what we do is we don’t believe in investing too heavily on the frontend where you don’t need to. As an example, we don’t typically go out and ask new questions or get new research. We try to work with what you have already because there’s so much data. 95% of your data is unstructured. It exists within your company. We go dig for that data and try to find it first because if you already have it, why annoy your customer by asking them even more questions? Rule 101, do no harm. The best indicator that you’re doing a great job is customers spend money with you. I don’t care what they say to others. The reality is that not everybody’s going to promote you. I personally don’t believe that the net promoter score is as valuable as many people make it out to be. What I really want is seeing things such as how often do customers come back and how often do they spend more money with you. All of that ultimately leads to them promoting you. One of the things that we actually talk about is how do you segment your customers. In other words, how do you break it out and do this research so beyond the matrix really understanding what’s happening there? A key part of that is we’ve got five different segmentations that I typically look at, and they’re behavioral. The first one as an example would be your enthusiastic customers. Those customers that have already given you five-star reviews or given you tens on your internal survey, you want to research them first and do as much research around them as you can. They already love you and love what you’re doing, so why not dig deeper in there? From there, I would say one of the big changes we’ve seen is that you can look at the engaged prospects. This is something that we actually changed our approach just before writing the book because there was so much more information available now about prospects. You go back five years ago, six years ago, we didn’t have nearly the information about prospects. Everything was hidden. You just couldn’t have access to it. Presently, there’s so much more information available. We really encourage companies to look at those engaged prospects. Why are they buying versus not buying? We do a lot of buyer versus non-buyer research and the whole idea of self-concept, their self-image, it drives whether they purchase or not. We actually have navigated some of these companies to say if they’re non-buyers right now, when they’re expressing the language of a non-buyer and the mindset of a non-buyer, then how do you move them through education and through experiences so that they start talking and thinking like a buyer? I love that concept for the emotional journey that is required to take somebody from non-engagement to a fan. How do we help them shift their mindset? I want to zoom back into this concept of self-image because it’s an important concept for our audience to get. If a customer is wanting to buy from you for the very first time, they have to imagine your product or your service being part of their life. If they can’t identify with your product or service being part of their life, there is no way that they can buy from you. That self-image in having your product and services part of themselves is part of where you have to go. A great example of that was this real estate agent showing houses. They know the house is sold when people start imagining where they’re going to be placing the furniture. They’re looking to put their bed here, they put their couch here, put the TV here, put the swing set in the back. The house was sold so we have to apply that same psychology to everything that we sell. You have to be on target with where they see themselves becoming. That’s why this whole idea of not just experiences and feeling good but truly transformation comes into play. If someone is buying a product or service, they are aware that they’re not the person they want to be, they’re not feeling what they want to feel, they’re not seeing what they want to see, they’re not achieving what they want to achieve, and so they want to solve that problem. That’s why they’re buying your product or service. If we can help them to see themselves in that scenario, they’re likely to buy. What’s the easiest way to teach people about the process and the transformation? Stories. We have stories all over here because your customer reviews are really autobiographies. They’re telling you their story. The beauty of stories is that when we read about a character in a story, we embody the emotions they’re expressing. We become one with that person. We take on that self-identity and we ask ourselves when we’re reading reviews, “Would I love this or could I tolerate this?” We make her decision from there. The book, we actually push it even further. We’re not so much focused on the storytelling that’s very common right now in marketing. That’s a good thing, it’s a right path to go down, but there are so many other people talking about it. We didn’t want to go there. We go in a different direction. We actually help the reader understand if they’re communicating with the C-suite or maybe it’s the C-suite having to communicate with your team, we help them go through the process of understanding how to create a story that really matters for their company and about what their customers are experiencing so they can move their team or so that the analyst can move the C-suite, if that’s who’s reading the book. You have to create the story, you want to live and you have to share the story with your customer that they want to embrace and they want to be a part of. The story is always about becoming. 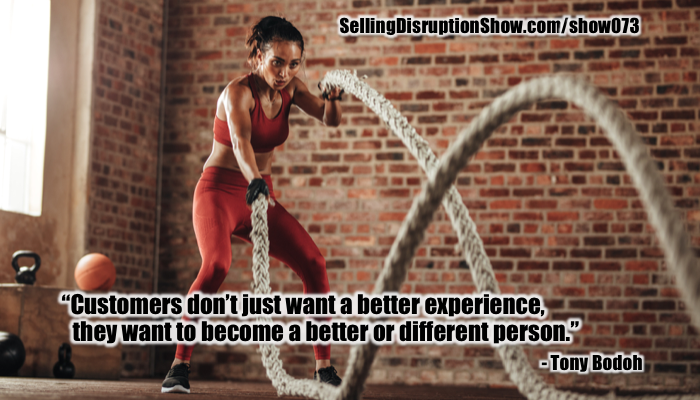 All of our favorite stories are about becoming, as we are making this transition from the experiential world to the transformational world of sales. 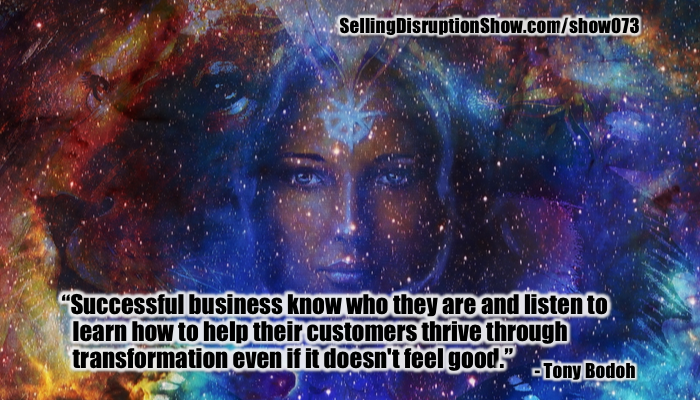 Enlightened customers, we have to show them how they can become who they want to be becoming. It’s a magical part of ProphetAbility, the book that you have. It’s really good, Tony. What else do we need to talk about? I would say one of the key things is the advance of TripAdvisor or Yelp and those types of sites where you’ve got the social review happening. Even Facebook now has gotten into the reviews game. If you look at companies that are ranked on these sites, you’ll find that the traditional way of becoming a five-star company like in the hotel industry or restaurant industry, investing a ton of money into the facilities, into the service levels, the training, and all of that. What we’re finding is that even in the largest of cities, you’ve got two and a half, three-star hotels that are rated that way by the experts outranking those four and five-star hotels that have spent millions more on their properties. The difference between a three-star hotel and a five-star hotel is typically spa and restaurants. The bigger piece right now on how these two and a half and three-star hotels are competing is authentic connection. Going back to the relationship, 90% of five-star reviews in the hotel industry all mentioned this authentic connection, this relationship. It’s someone at the front desk who was empathetic, helpful, caring, and very kind. The housekeeper was amazing. It’s not just about doing a good job and what they’re there to do, but it’s also that they connected. If you think about hospitality, that’s the very nature of hospitality. For all the tech that’s being introduced out there, I think there’s a philosophy of if we bring tech to the problem, it will solve it. In reality, we’re not seeing a lot of that tech showing up like a key-less entry or mobile check-in. We’re not seeing that show up in five-star reviews. We’re seeing the authentic connection of one human being to another human being, and that’s never going to go out of style. That’s a really important point, especially as people are concerned about artificial intelligence replacing humanity. The reality is that we really liked the idea of bumping into another human, the adventure of the interaction with human beings. 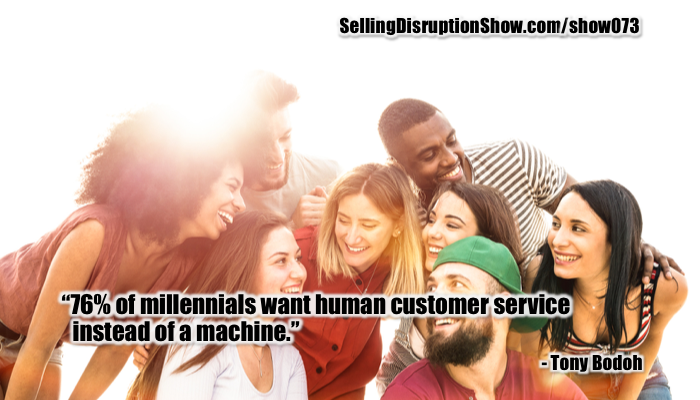 There’s a stat that you and I have talked about, 76% of Millennials want customer service, a human to human interaction, versus technology. That research shocked me when I saw it because I’ve been hearing the others, “They’re just technology-oriented people.” It leads to this point. You’ve got to question everything. You’ve got to really question what their source for that information. Yes, Millennials are very good with technology, but that doesn’t mean they don’t want to be connected with other people. In fact, they want to be connected. That’s the reason why they’re on their devices all the time is that they can keep a dozen connections going simultaneously. They’re sending a thousand texts a day or whatever it is they do on average is crazy, but that’s their form of connectivity. If you think about it, it’s interesting. We go back to 1850-ish when the bicycle was actually invented. I want to take you back there for a second because when the bicycle was invented, there were actually articles in newspapers about how this was going to destroy culture because teens and young adults were going to be able to have freedom and get away from home, and who knew what trouble they were going to get into. Fast forward to the 1910s to 1920s, you’ve got the cars. The same types of articles were coming out. Fast forward to 2000 to 2010, we’re saying the same thing about smartphones and devices. They’re not all perfect, there are challenges with them but the reality is people have this innate desire for freedom, for connection, for expressing themselves and they’re going to find a way to do it. They sure will, which gets us back to the PERMA, the positive emotions, the engagements, the relationships, the meaning and the accomplishment. Technology has always allowed us to advance in all five of those fronts. You may not like it but you cannot stop it. There’s no reason to go against an unstoppable force. Let’s just use that as a way of exploiting the opportunity. As Peter Drucker says, “Let’s exploit our customer’s need to transform, to become. In doing so, we will be where our customers want to be.” Tony, how does our reader get ahold of you? What do you want them to do? They can get ahold of me by going to my website, www.TonyBodoh.com. I would actually recommend that they get a copy of ProphetAbility. You can actually preview it right on our website, right on the homepage. Pick up a copy of the book, read it through. We’ve got resources available. Download those resources. Engage us with a conversation. If you’ve got questions, I love to share. I love to engage on my LinkedIn, Twitter, Facebook. You can just put my name in and I’ll pop up. I’m the only one with my name. Tony’s Facebook group, The Customer Experience, is extraordinary. He’s always posting videos that are insightful and meaningful and short. I always move forward my consciousness and that’s how you improve the customer experience. 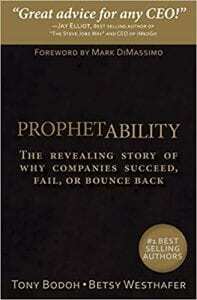 The ProphetAbility book is a must-read for every executive that wants to run a sustainable, successful organization. I can’t think of another book that’s more important. I’m a big advocate of the book. It’s a book that needs to be sitting on your desk. You need to be picking it up and reading it because it’s going to install in your consciousness what you will need to do to be one of the businesses that will be in business a decade from now. Tony, thanks for being on the show. Thanks for having me, Mark. It’s been an honor. Navigate your organization to where the customer money will be! Tony Bodoh has 18 years of experience guiding the C-suite to where their customers will be spending in the future. Clients range from startups to the Fortune 100 to the US military. Featured in INC, CIO Magazine, TechTarget, 1to1Media, a University of Tennessee case study and more. 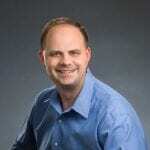 #1 best selling author of three books and speaker on topics that teach audiences how to use transformative experiences to improve their quantitative and qualitative results in business and life.